Are you in love with beautiful clothes as much as I am? I bet you do! 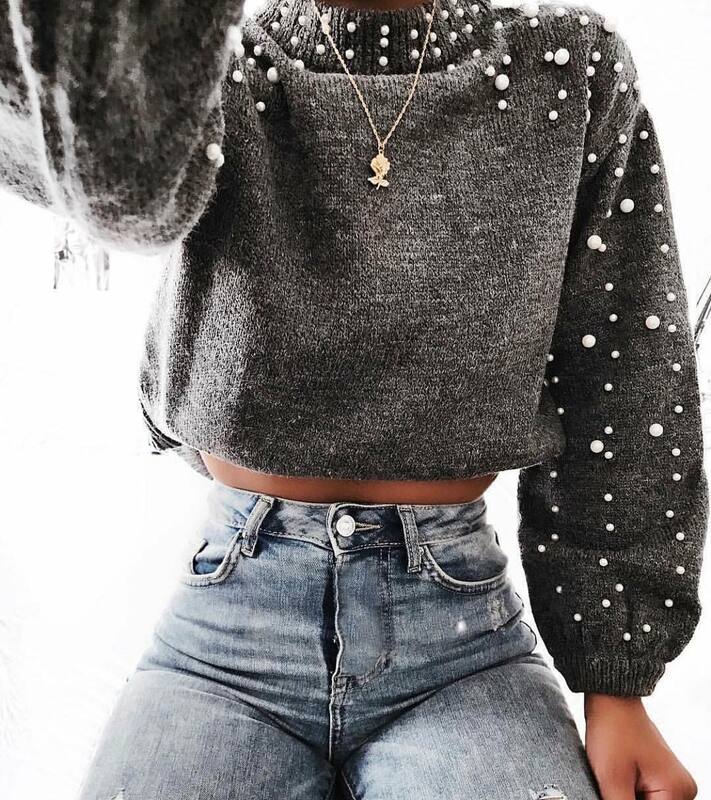 Here we see a stunning grey crop sweater embellished with white pearls. It’s a must-try essential you can team with high-rise blue skinny jeans.